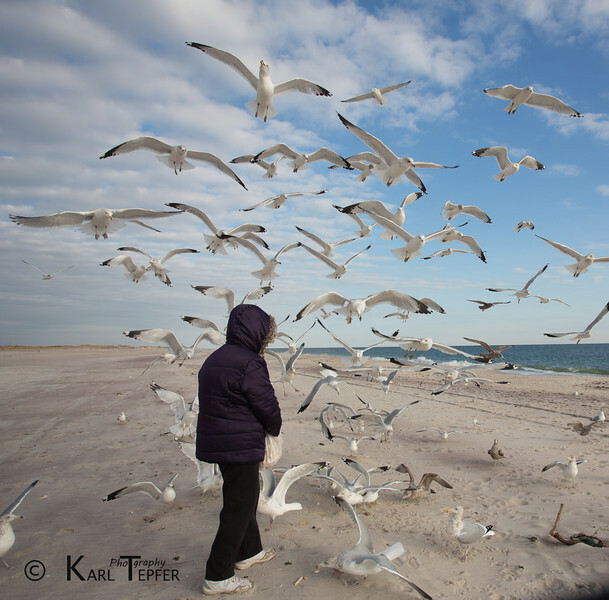 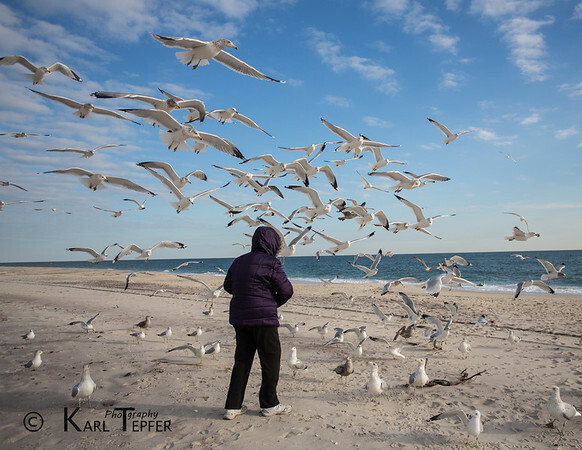 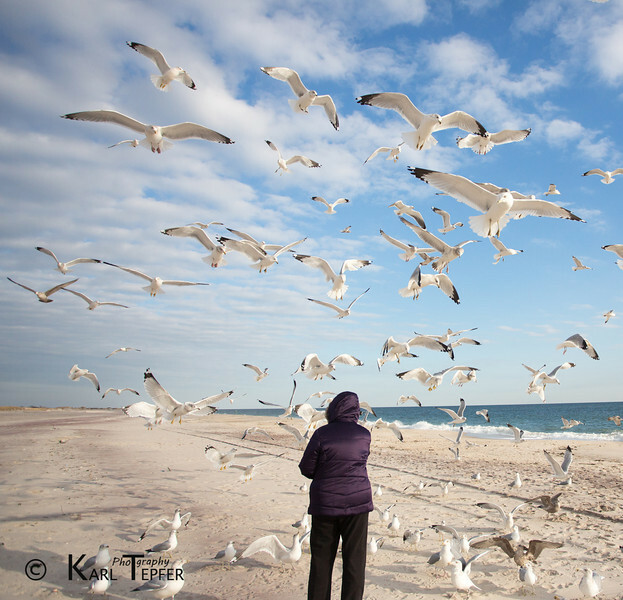 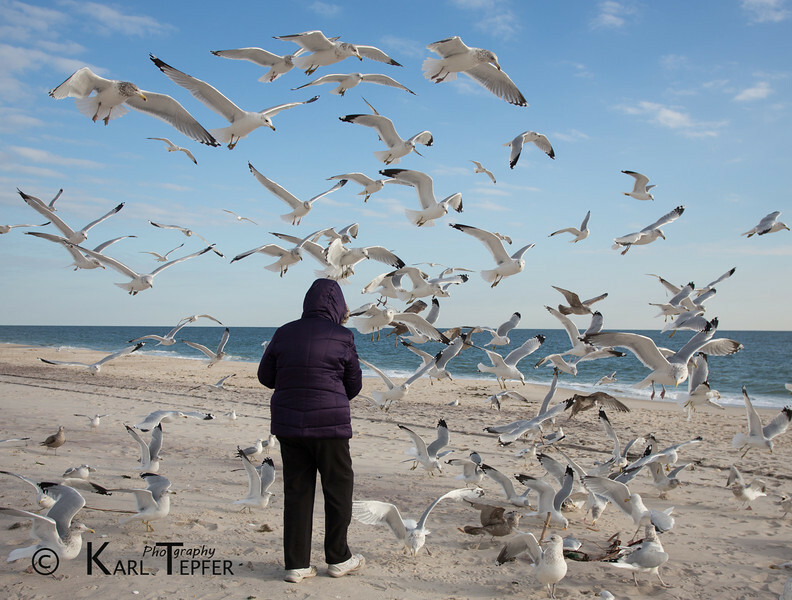 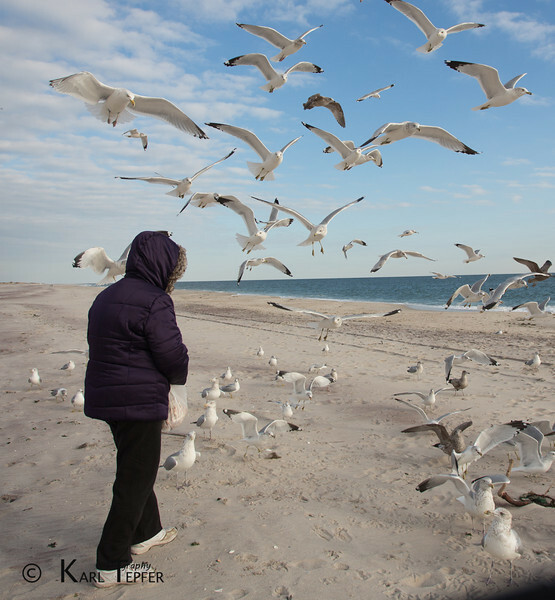 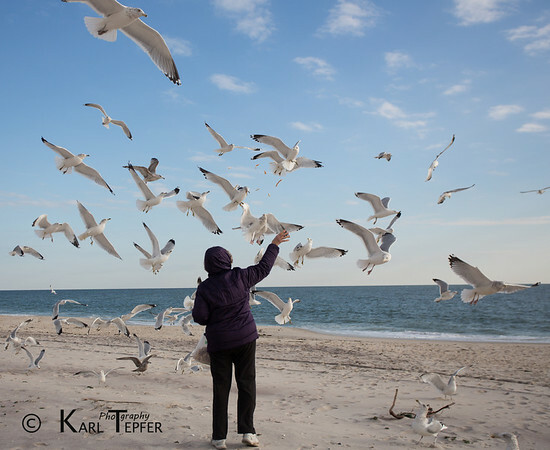 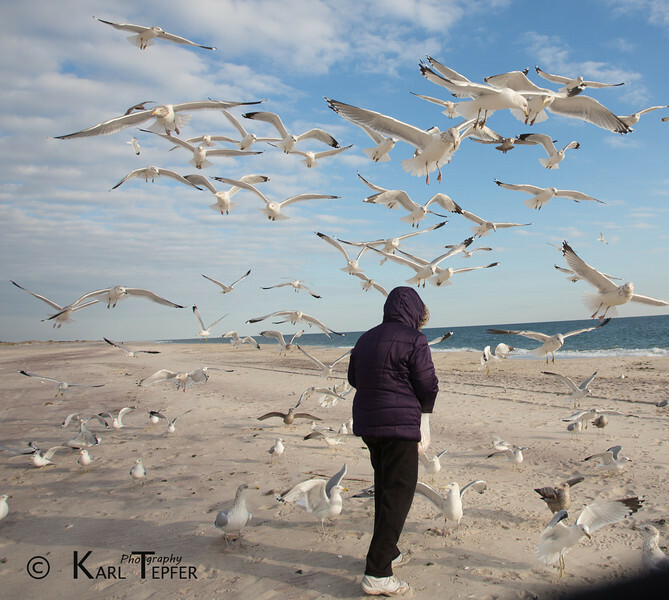 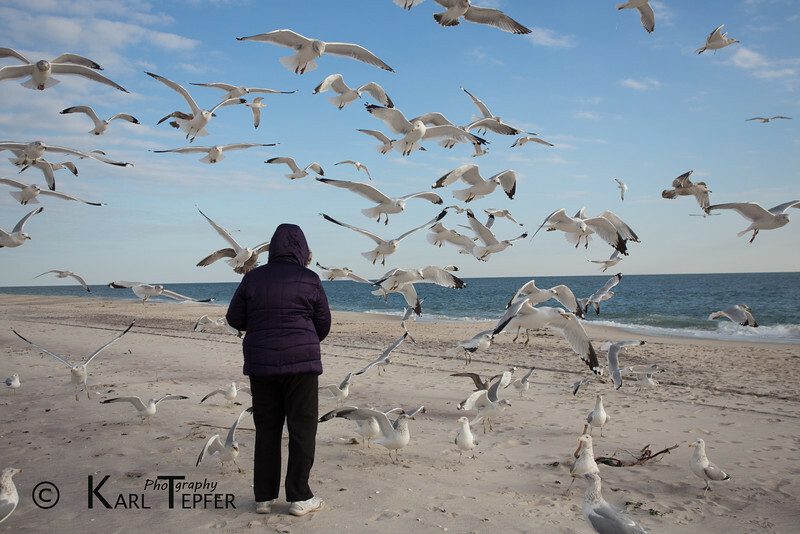 This kind woman was at Jones Beach, NY, on an extremely cold/windy day feeding hungry seagulls. 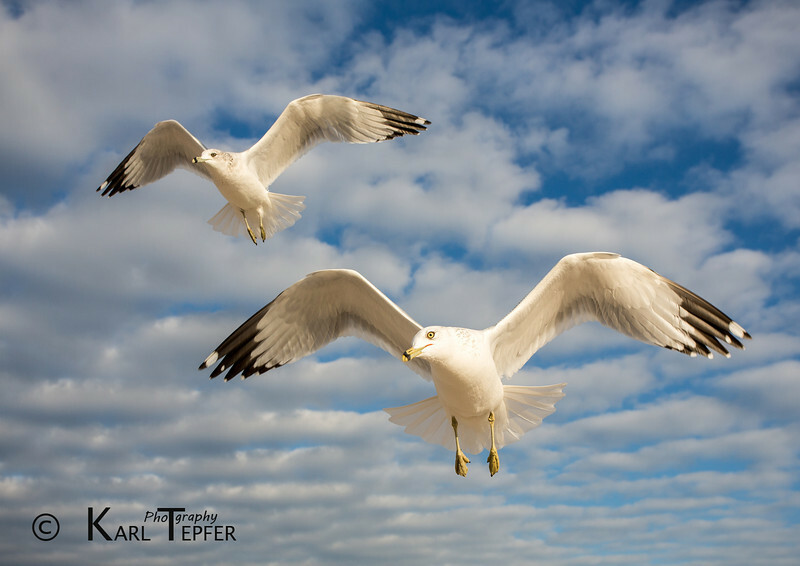 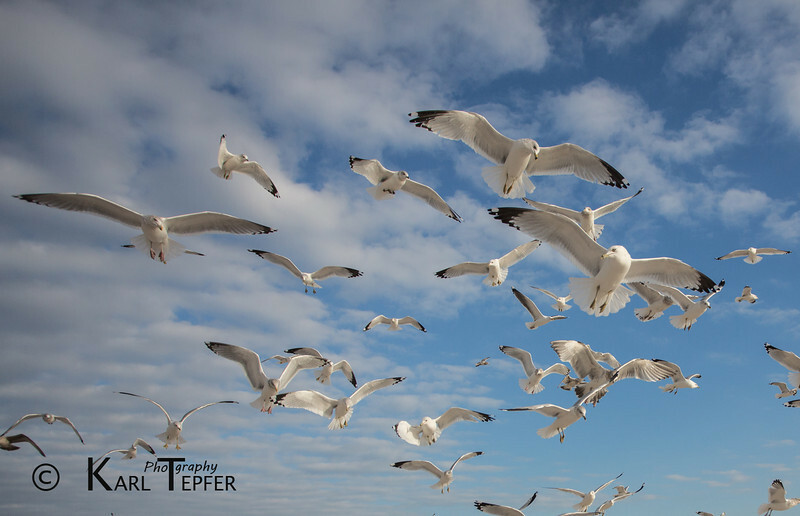 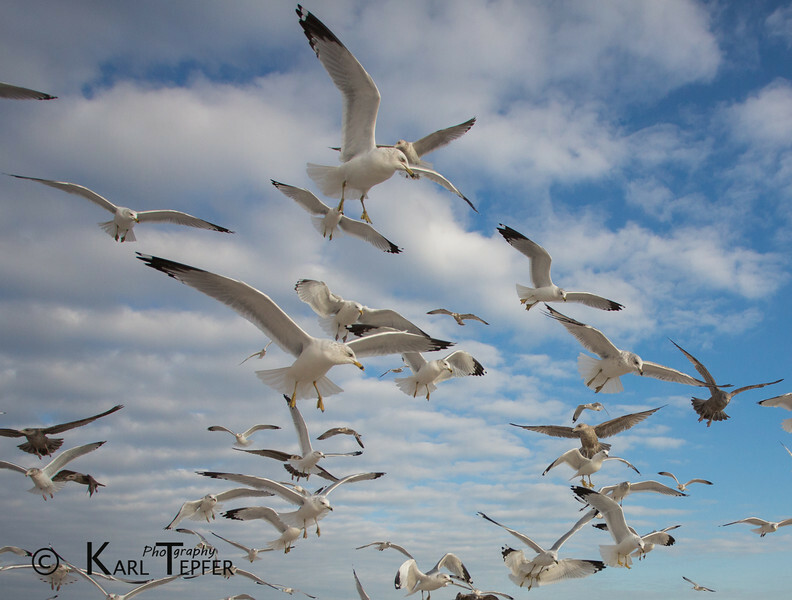 I was fortunate enough to arrive at the proper time and capture some of the birds close up, in flight. 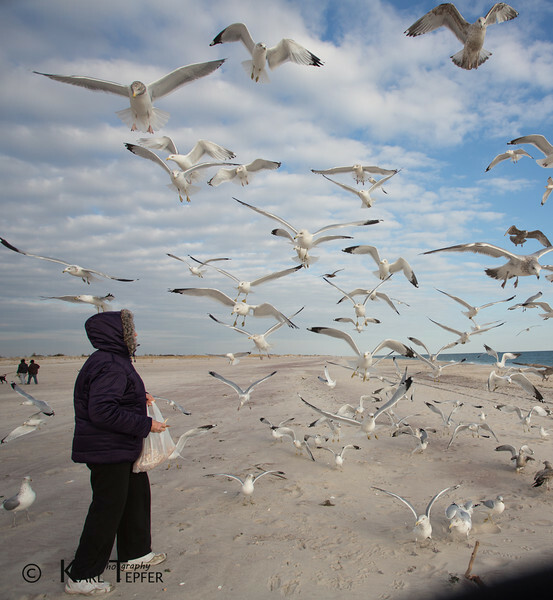 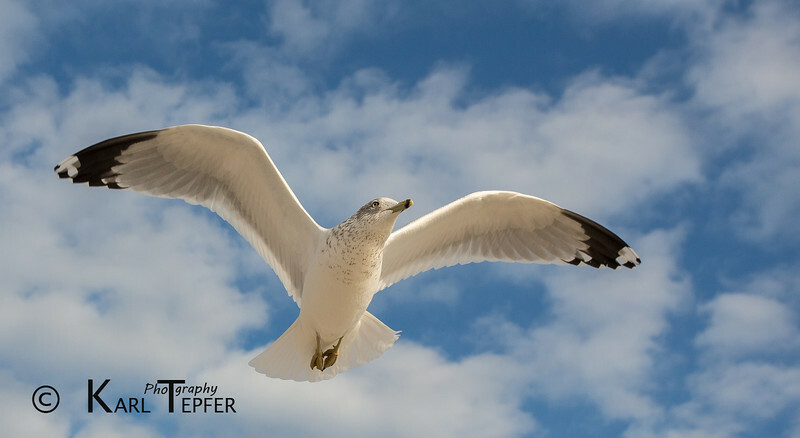 Seagull hovering, waiting for some food on cold winter day at Jones Beach, Long Island.